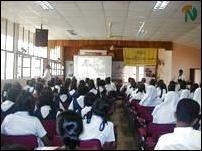 The Chamber's Biz College Trincomalee held a one day Career Guidance Seminar for Trincomalee students supported by CIMA Sri Lanka Division, Sri Lanka Telecom (SLT), Sri Lanka Institute of Marketing (SLIM), Sri Lanka Institute of Information Technology (SLIIT) and Impact House of Advertising. The event was co-sponsored by Emerald International Ltd. The inaugural event was held Thursday, at Trincomalee Krishnathasan Memorial Hall in Trincomalee. The Chief Guest was Emerald International Ltd Director Mr.M.M.Ishan and the Guest of Honour was Mr.Upali Ratnayake, Executive Director of CIMA Desk Sri Lanka Division. Mr. P.Wickremanayagam, President of the Council of Management of Chamber's Biz College, Trincomalee said his College has been accredited by the CIMA to conduct Foundation and Intermediate level courses and the SLIM to conduct Preliminary courses in Marketing. The college is also conducting a course in "English for Business Communication," he said. 15 students are on roll in the CIMA classes. The number would increase by the end of the month. Marketing classes would commence shortly, he added. 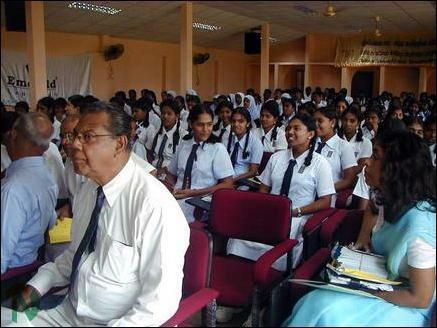 He further said that seminars of this nature would create an awareness that would promote and help develop higher education in the Trincomalee district. 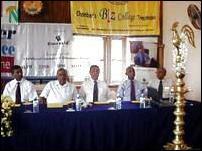 Trincomalee Chamber's Biz College is a project of the Chamber of Commerce and Industry of Trincomalee District (CCITD).